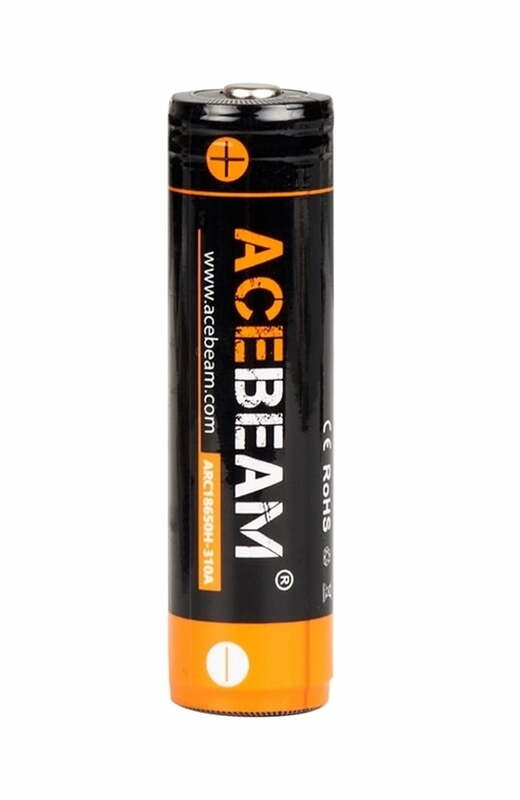 The Acebeam IMR 18650 3100mAh Rechargeable Battery 20A 3.6V LIR Li-ion Cell; is an Original ACEBEAM product. 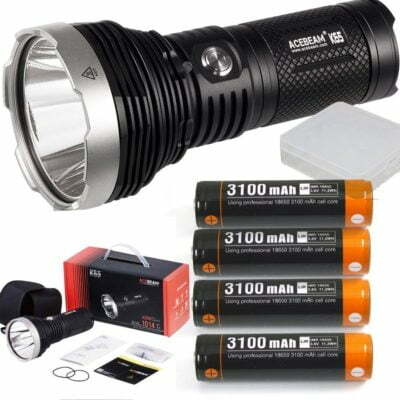 It is compatible for the ACEBEAM K30; X45; X80; X80-GT; K70; and other high drain flashlights! The 18650 High Drain Rechargeable Battery comes with built-in protection and 4 x Mosfets installed; 3100mAh 3.6V, 20A (Samsung Core). 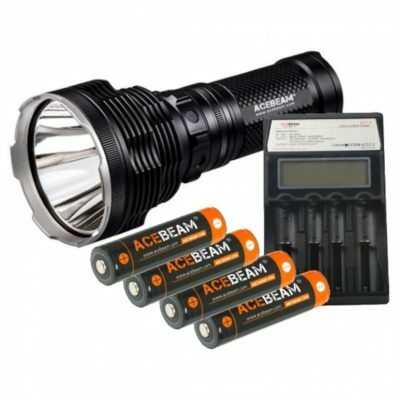 Only use the best batteries for your high-powered Acebeam Flashlights! Available now from Yowcha! Buy from Yowcha; EVERYTHING is included. NO extra Custom Charge; NO Extra Tax and VAT Charges AND FREE UK SHIPPING! Use caution; as misusing or mishandling the battery may cause a fire or explosion which may result in personal injury or property damage. The user must have an appropriate understanding of the potential dangers of lithium ion batteries before purchase and usage. No express or implied guarantee of compatibility; suitability; or fitness for any particular purpose or device can be made. This battery is manufactured and sold for the intended use of system integration with proper protection circuitry; or battery packs with a BMS (battery management system) or PCB (circuit board/module). BATTERIES MAY EXPLODE; BURN; OR CAUSE A FIRE IF MISUSED OR MISHANDLED. Use of these batteries is AT YOUR OWN RISK! Misusing or mishandling lithium ion batteries can pose a SERIOUS RISK of personal injury; or property damage. DO NOT short circuit; intentionally or unintentionally. DON’T use if PVC wrapper or terminal insulator if battery is damaged or torn. DO NOT store loose or in a pocket[ purse; etc. Always use a protective case or box for storage and transport. DO NOT over-discharge; or exceed the continuous discharge rating. DO NOT modify; disassemble; puncture; cut; crush; or incinerate. DO NOT use force to install; or install in reverse/backwards. DO NOT mix and match brands and models; old and new; used and unused batteries. DO NOT throw away in trash; contact your local jurisdiction for proper recycling or disposal. 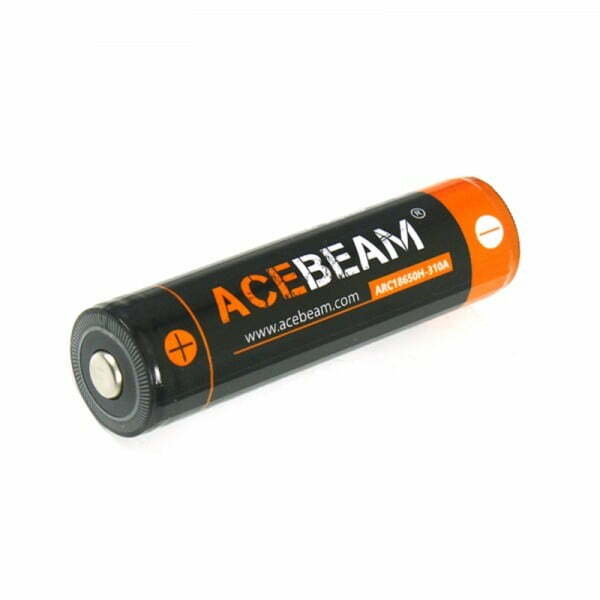 STOP immediately if while charging/storing/using the battery it emits an unusual smell; feels hot; changes colour or shape; or appears abnormal in any way. KEEP AWAY from metal or conductive objects to prevent short circuiting. ALWAYS charge in or on a fire-proof surface; and never leave batteries charging unattended. YOU MUST ONLY use within the manufacturer’s specification. If you are exposed to battery electrolyte; flush with water immediately; and / or immediately contact a physician or emergency services. 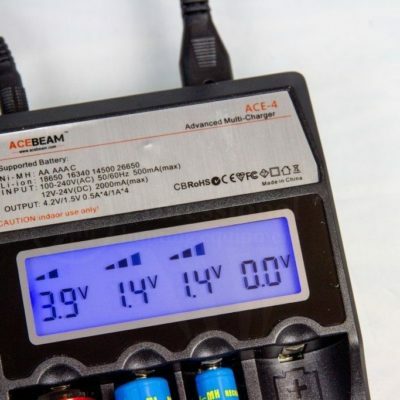 When using rechargeable lithium ion batteries; use only ACEBEAM brand battery or batteries sold by major manufacturers that have the same voltage; mAh and watt hour ratings as original batteries.